Two Florida communities, united in grief and anger from deadly mass shootings, ignited a national uprising against the gun industry and the politicians who profit from gun violence in America. After the 2016 Pulse nightclub massacre that took 49 lives, state legislators from Orlando who lost constituents and friends targeted Florida’s lax gun laws and demanded change in the capitol. But they were rebuffed at every turn by the NRA-owned legislature and governor who refused to do anything about assault weapons or gun policy. Less than two years later, these ripples of resistance grew into a tsunami after a gunman opened fire on Marjory Stoneman Douglas High School in Parkland. 17 more lost their lives because Florida’s government failed to care or act after Pulse. 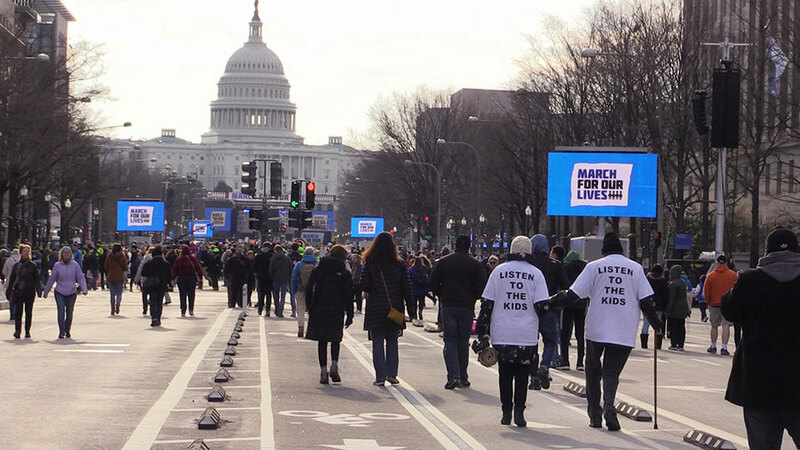 The movement for sane gun laws swept up the Florida peninsula and marched right into the nation’s capital, led by heroic students who are demanding nothng less than an end to assault weapons and gun violence in America.